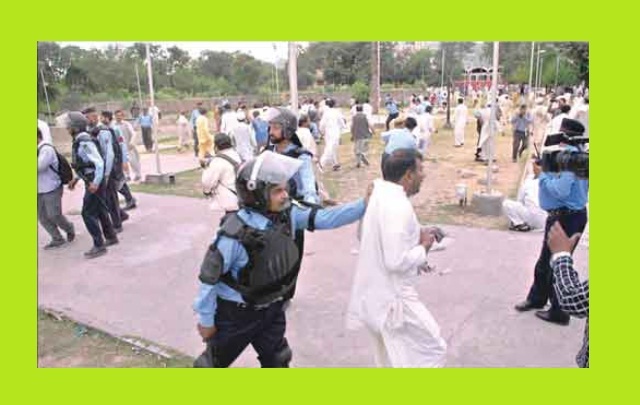 Islamabad (Thursday, June 4th, 2015) – Yesterday Islamabad Police dispersed hundreds of federal government employees’s sitin in Red Zone. This protest demonstration was called by All Pakistan clerk Association (APCA). Police arrested seventy protestors and locked up in police station. 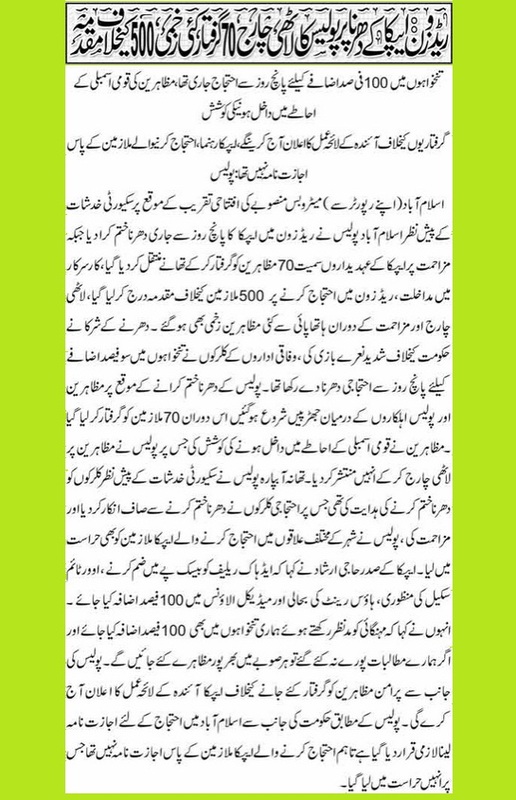 While FIR / Case has been registered against 500 APCA employees also. APCA workers were demanding 100 percent increase in pay in next budget 2015-2016. APCA President Haji Irshad demanded Revised Pay Scale, merger of Adhoc Allowance in Basic Pay, Nonfreezing of House rent and Increase in medical Allowance.